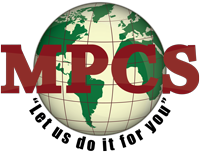 MPCS is passionate about customer service and is constantly looking for ways to enhance the client’s experience. All of our staff are focused on establishing strong relationships with our clients by offering personalized service to your organization. MPCS offers complete back office support, this will allow you and your company to focus on the strength of your business, leaving the tedious administration and financial management to our team of experts. Unlike many other back office providers we charge one simple fee, which is free of any hidden charges. Our success is attributed to ensuring each process is carried out thoroughly and meticulously. This is what distinguishes us from our competitors and has been recognized by recruitment agencies and clients. Whether you are a new company just getting started or you are an established company looking to increase productivity, MPCS Back Office Support Services can aid you.